Want to cuddle with Tiffanie? 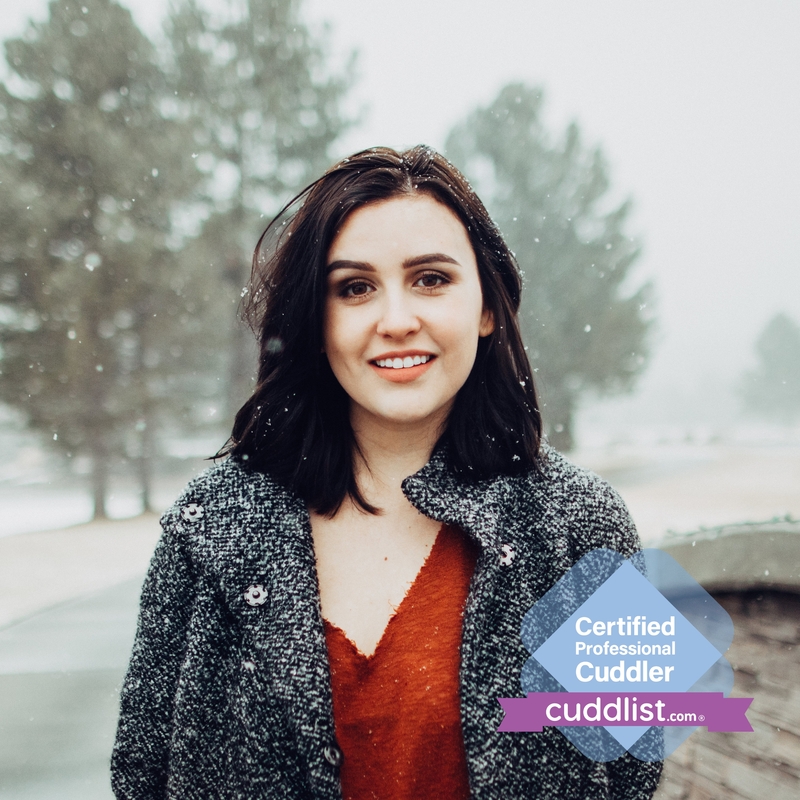 When cuddling with Tiffanie, the first thing clients may notice is the ease and comfort by which she finds ways of relating. Genuine curiosity is her way of cultivating meaningful experiences. It is her belief that western society has largely neglected the value of platonic touch; that physical and emotional connections are inseparable; and that by developing these kinds of connections, a sense of collective well-being can be established. Tiffanie has lived with depression and anxiety since adolescence and believes that this has shaped the way she interacts with clients. 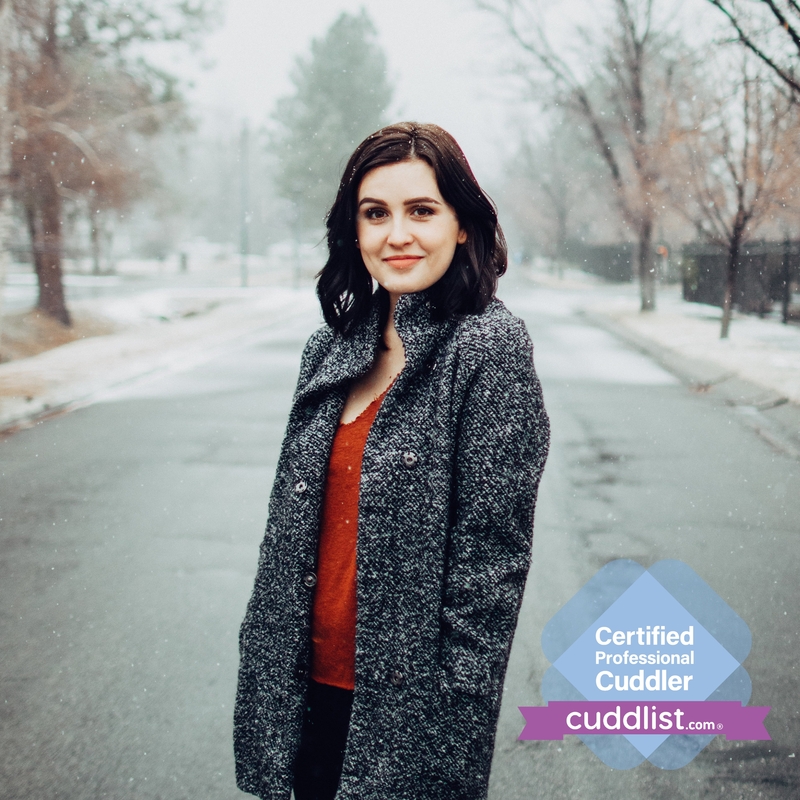 She began cuddling in early 2016, and since then has encountered many individuals also struggling with depression. Sharing inner worlds with other people is invaluable to her and she encourages everyone to be as open and expressive as they feel comfortable. Attentive and understanding, Tiffanie is adaptive to the ever-changing lives of her clients. Sessions can take many forms, whether it’s a relaxing break in the day, a light-hearted hangout, or perhaps a contemplative, spiritual experience. In any case, Tiffanie will provide support and help navigate as you explore your relationship with platonic touch. I conduct incall sessions in my cozy, clean apartment. I have a comfy couch as well as a very zen guest room turned cuddle room. Generally, I require first sessions to be held at my location as a safety precaution, unless you’d like to spend that time in a public space (park, hotel lobby, etc). If that won’t work for you, let me know and we can work something else out. A get-to-know-you session may start with throwing on a record or enjoying some lemonade on my porch. After discussing expectations and establishing trust, we’ll begin. I do take payment at the beginning of the session. I accept cash, PayPal, Venmo, and Snapcash.